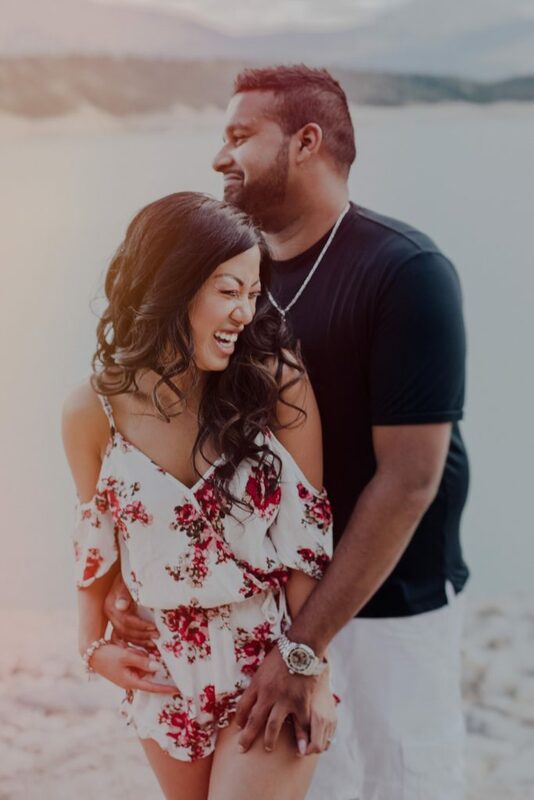 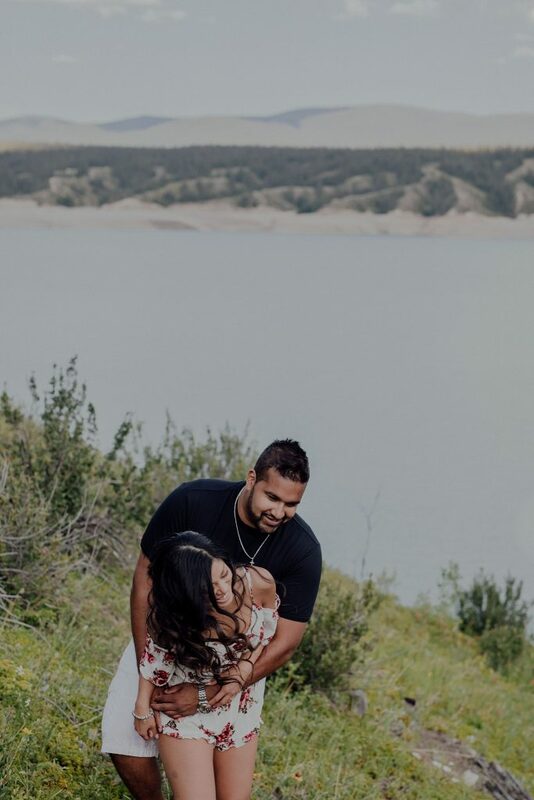 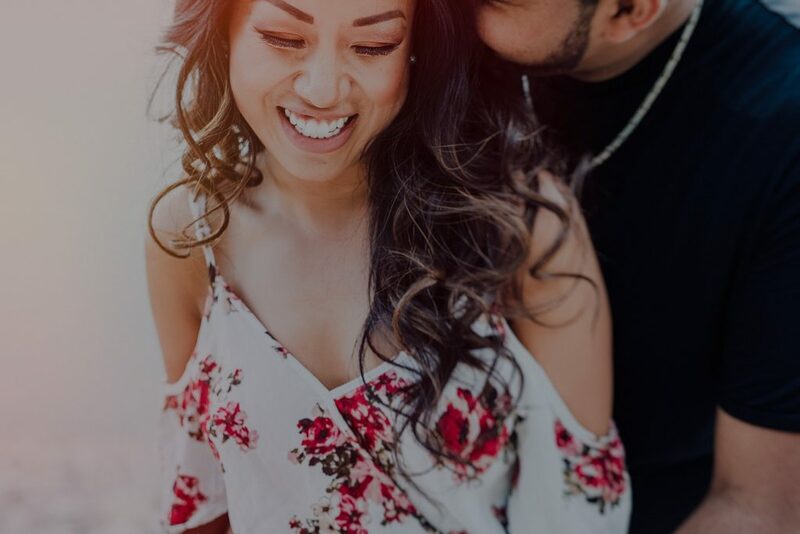 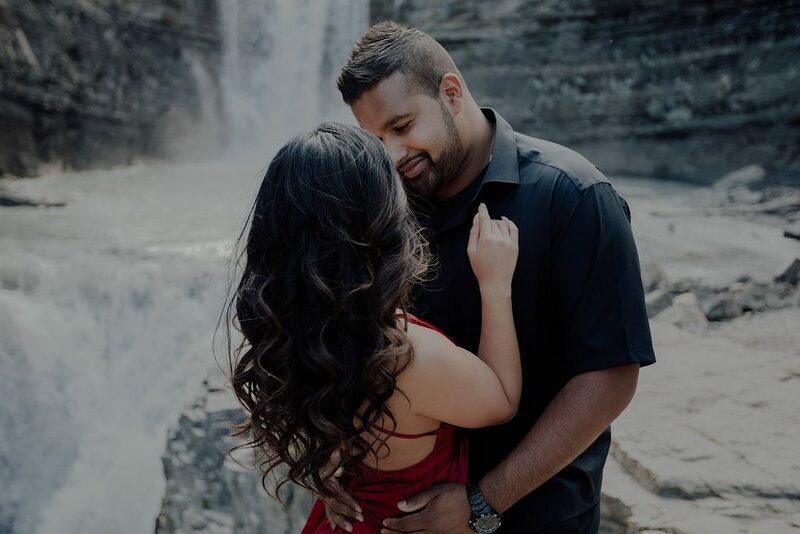 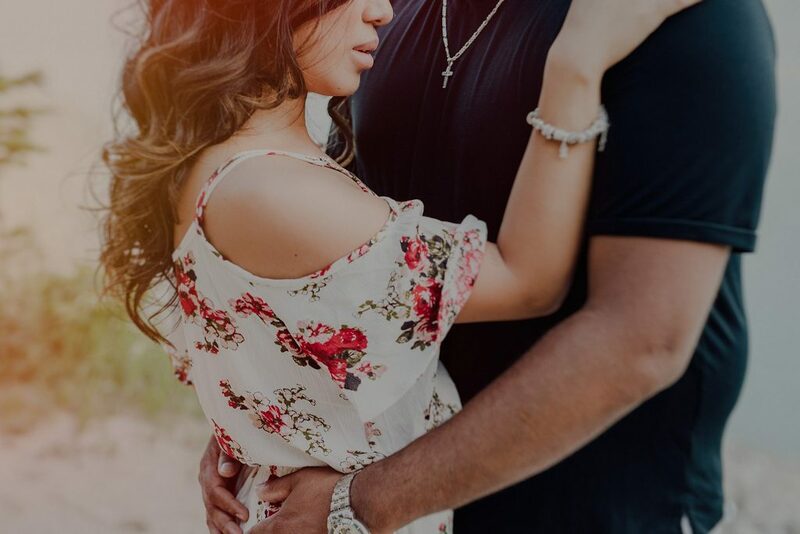 I just can’t get enough of Alicia & Siby’s engagement photos!!! 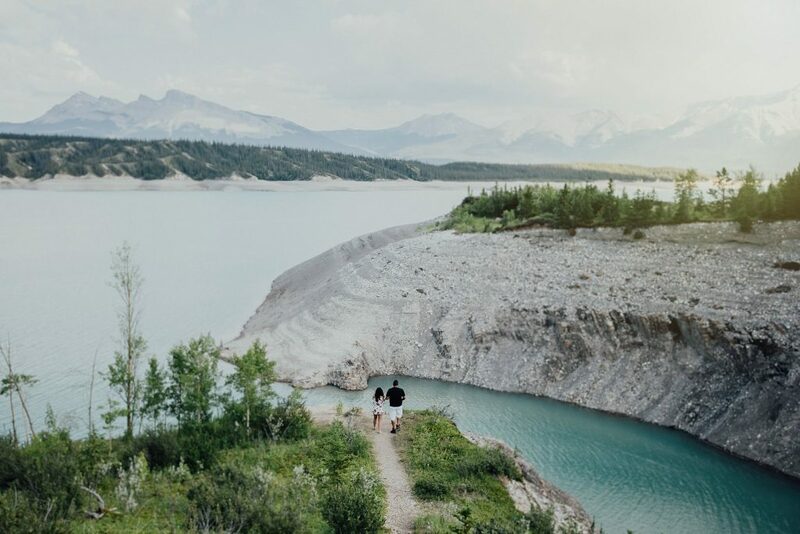 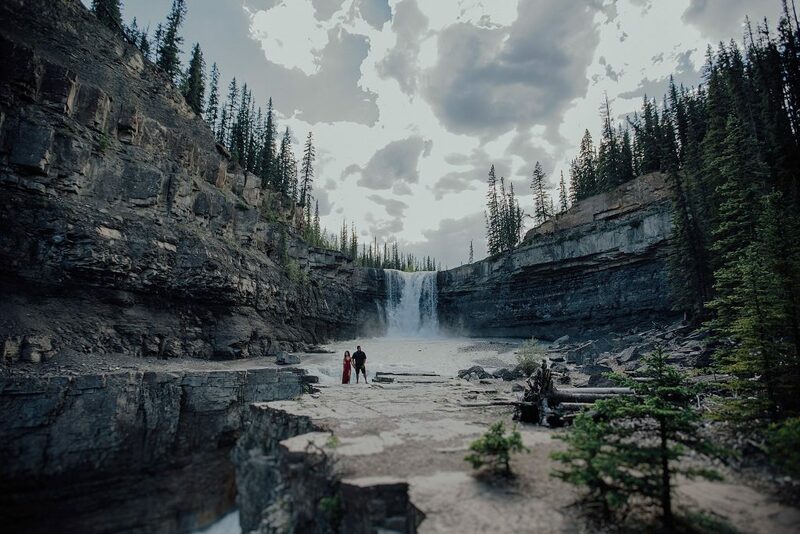 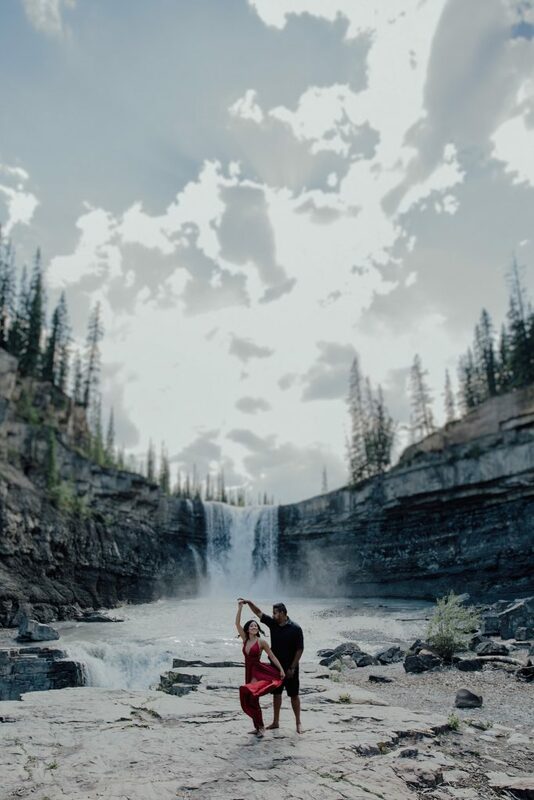 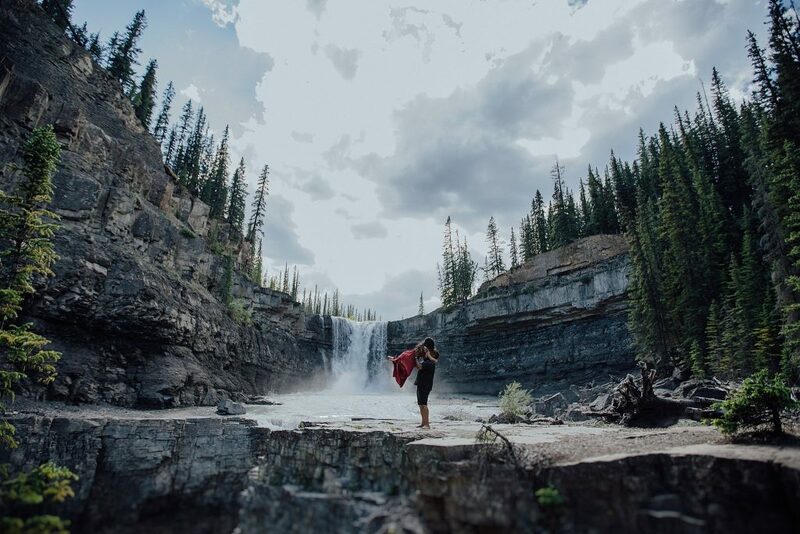 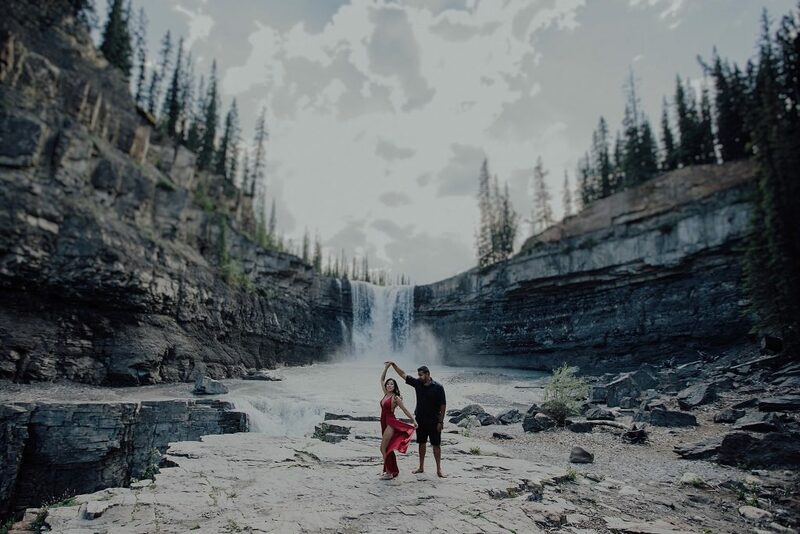 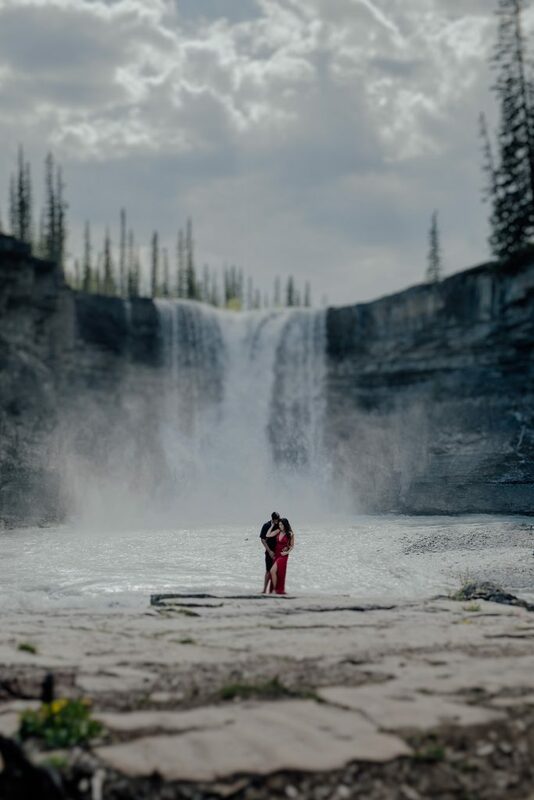 I am SO happy we were able to visit Nordegg – one of my favourite places in Alberta! 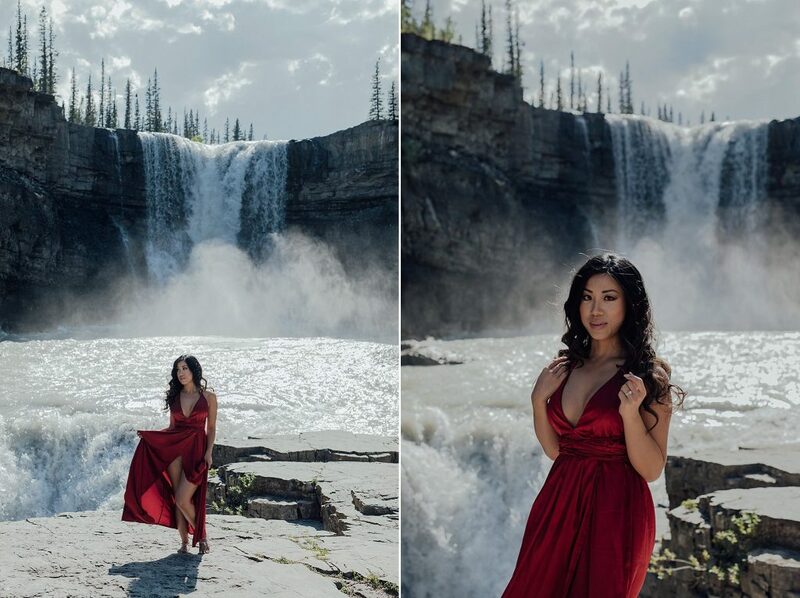 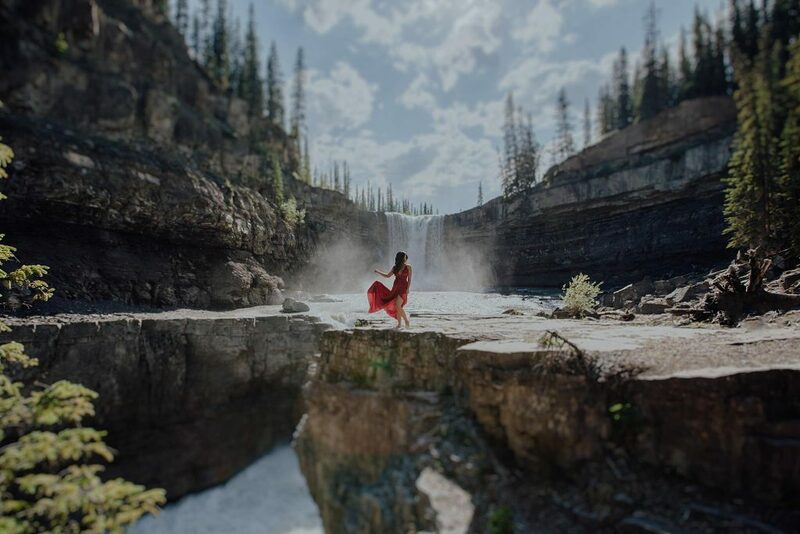 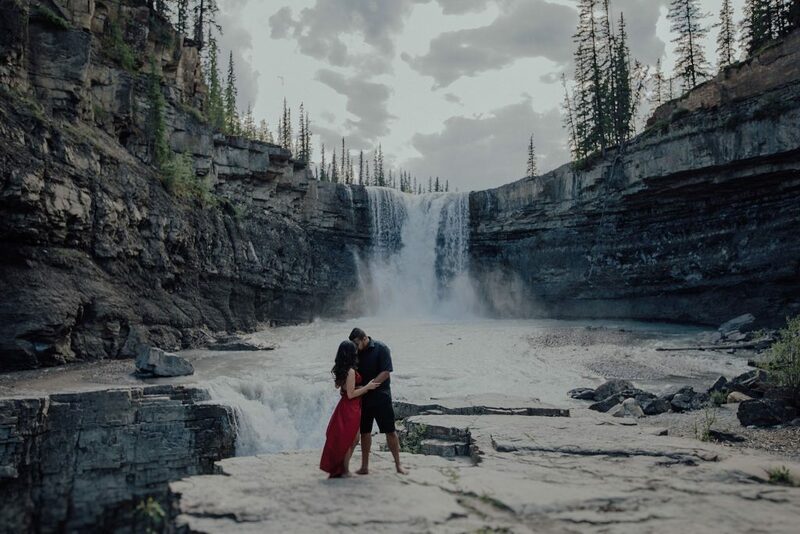 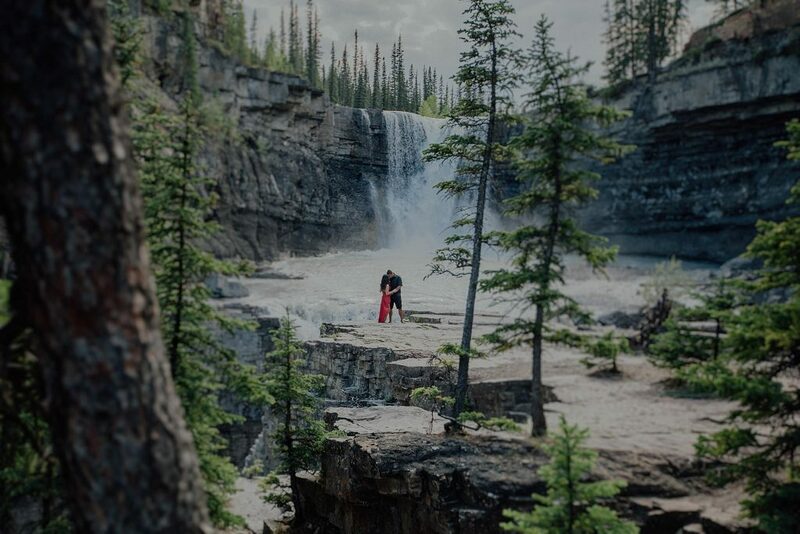 Compared to my last visit, we had a stronger waterfall this time around too, which I think just added to the romance and drama of our shoot a bit more! 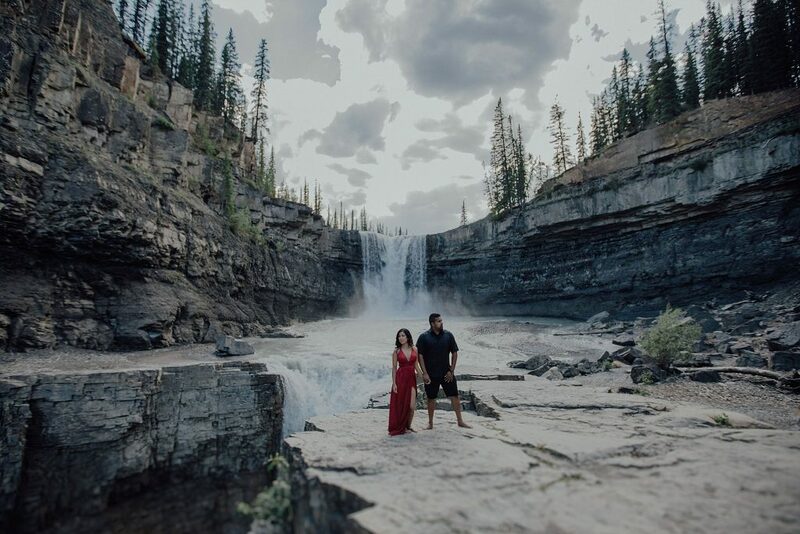 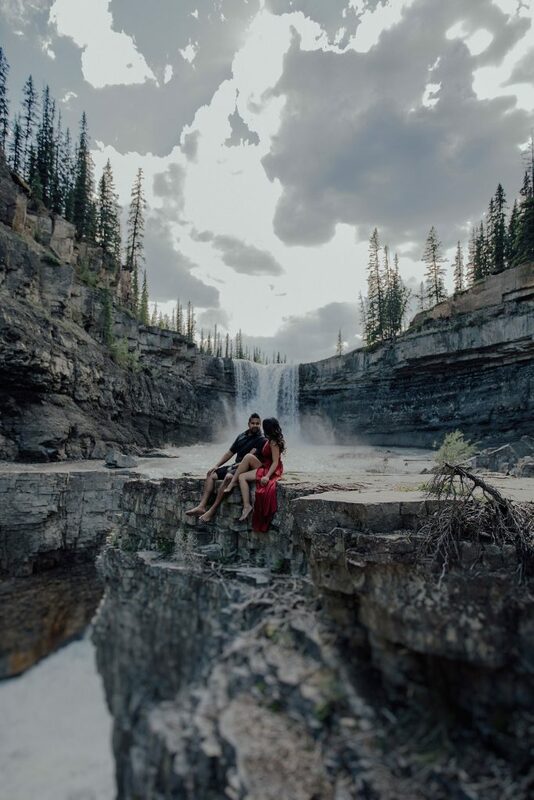 Alicia and Siby wanted an epic location for their engagement photos, and they loved my previous sessions here, so we definitely had to visit together! 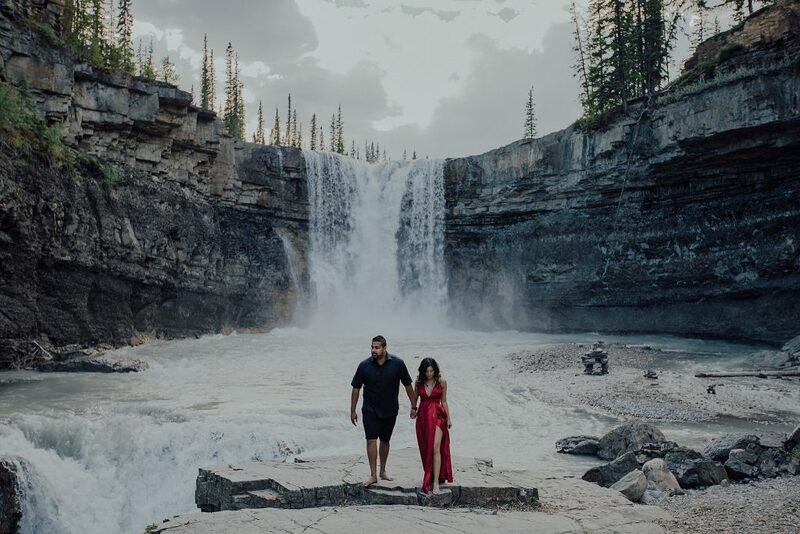 Siby is NOT an outdoors person at all so when I explained we had to do a bit of steep hiking to get to the waterfall, he was a bit apprehensive, but of course, was happy to for Alicia!